East Village is in the midst of an unprecedented building boom. 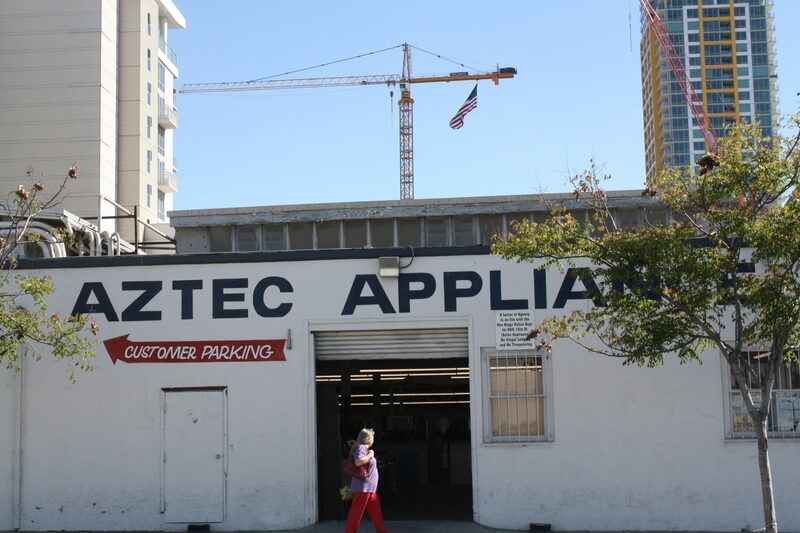 People of the neighborhood are filled with hopes, and concerns, about how the neighborhood will look once the cranes come down. Across East Village, cranes zig and zag across a quickly changing skyline. 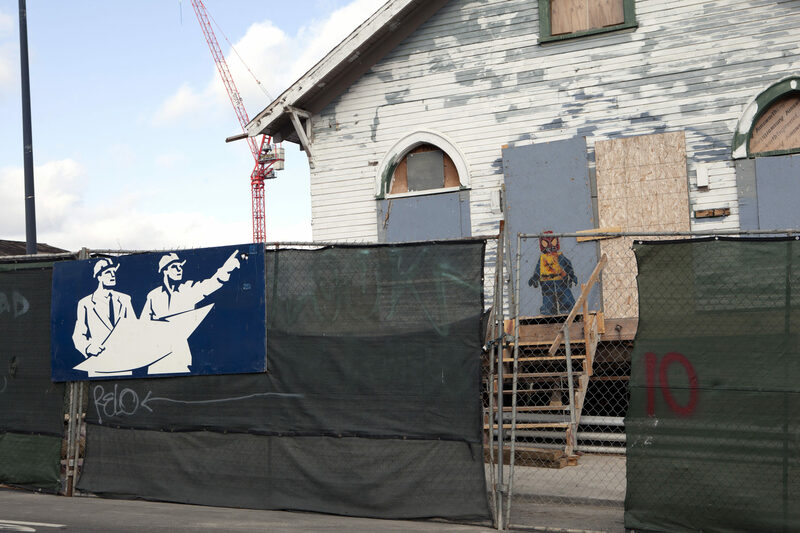 The downtown neighborhood is in the midst of an unprecedented construction boom. 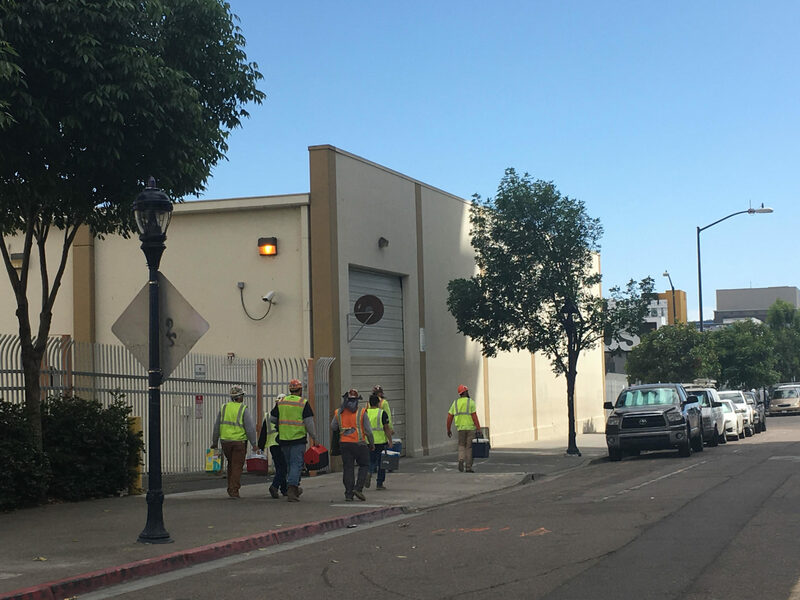 There are 10 active development projects in East Village, according to Civic San Diego, the city nonprofit that oversee downtown development. 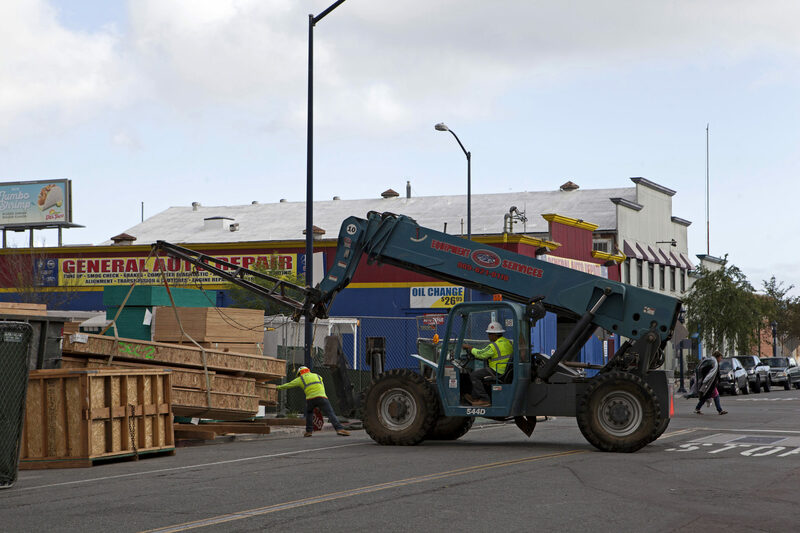 The agency lists another dozen that will begin construction soon, three more pending approval and another three that just finished at the end of last year. 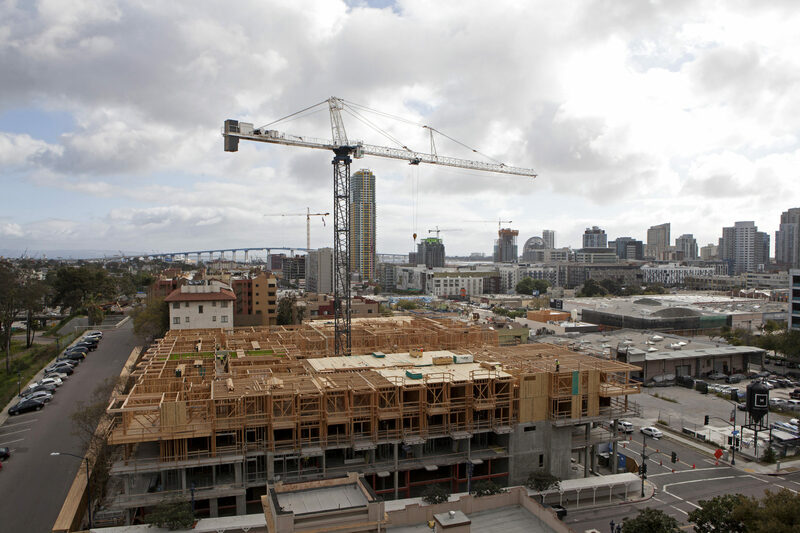 “It’s safe to say this is the biggest development boom the East Village has ever seen,” said Brad Richter, Civic San Diego assistant vice president of planning. I recently spent hours walking around East Village, navigating the closed roads and sidewalks, loud noises, cement dust and other obstacles that come when a neighborhood is packed with so many active construction sites. I talked to a handful of people who live and work in East Village about what they hope comes once the cranes come down and the new buildings open up. David Vanderwall chases shopping carts, working at the Albertsons on 14th and Market in East Village. Magnets are meant to keep carts in the store, but homeless people find a way to get them out. Vanderwall said he hopes the building boom helps get some of East Village’s growing homeless population off the streets. 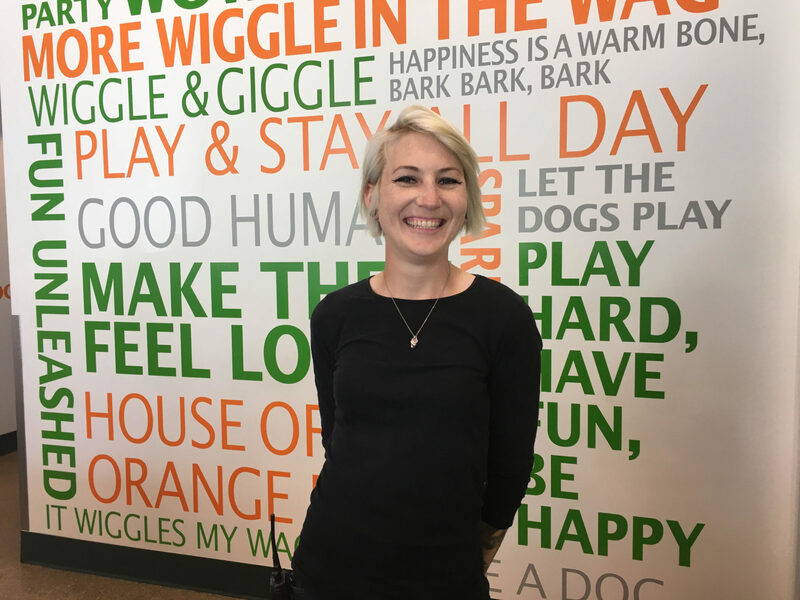 Kelly Tomke owns Salty Dawg, a small pet grooming shop in one of East Village’s remaining warehouses on Island Avenue. She said she’s both excited and worried about the changes. Jennifer Wald is a dog walker and petsitter with a lot of clients in East Village. She said her clients constantly complain about their high rents. Gerardo Cano, a construction worker who’s been working on the IDEA1 project, doesn’t expect the construction boom to produce anything but more luxury apartments. 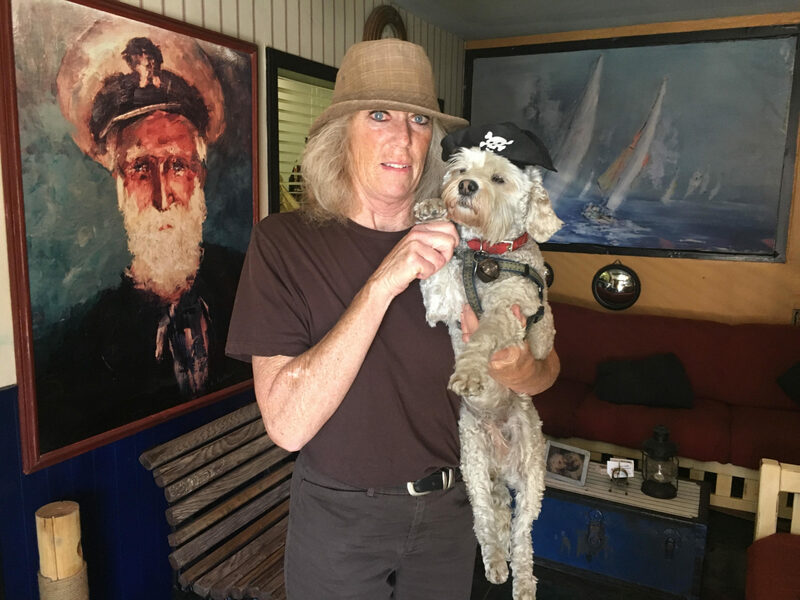 Jackie Warfield, a painter who lives in East Village with her two kids, said she moved in because she thinks it’s the creative pulse of the city – but she’s worried rapid changes in the neighborhood won’t leave much room for art. Chris Valdez has worked at Aztec Appliance’s East Village location for years. He said he foresees a lot of hard-to-fill vacancies in the horde of apartments and retail space being built. 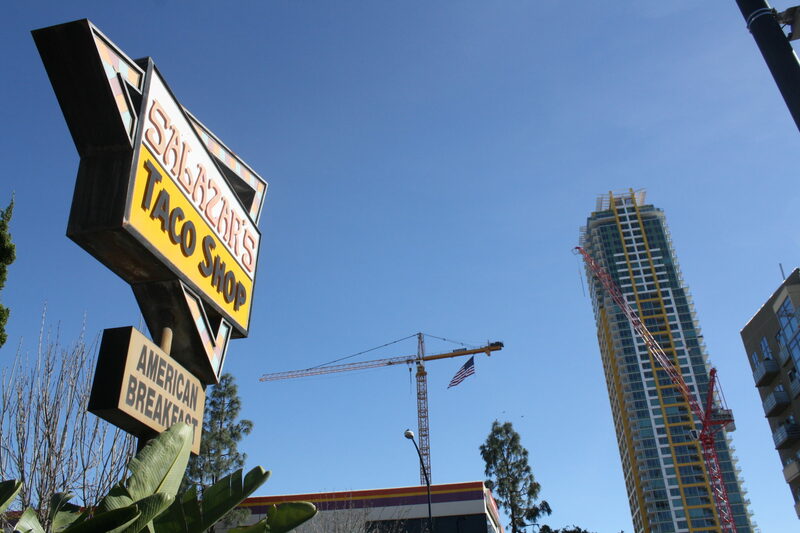 The old-school, single-story Salazar’s Taco Shop looks out of place amid the towering high-rises that’ve sprung up in recent years. Marisol Millan has been a waitress there for 14 years alongside her mother and aunt, who’ve both worked there since the restaurant opened in the early 70s. Doozydog! Club‘s manager Diana Oshea said she’s looking forward to more businesses moving in to East Village. Phillip Sammuli is a regular at East Village’s Mission Brewery. He said if the homeless population continues to grow alongside the new construction, there will be problems. “I think it’s inevitable that the friction between the people who live in the apartments and the homeless people will grow,” he said. 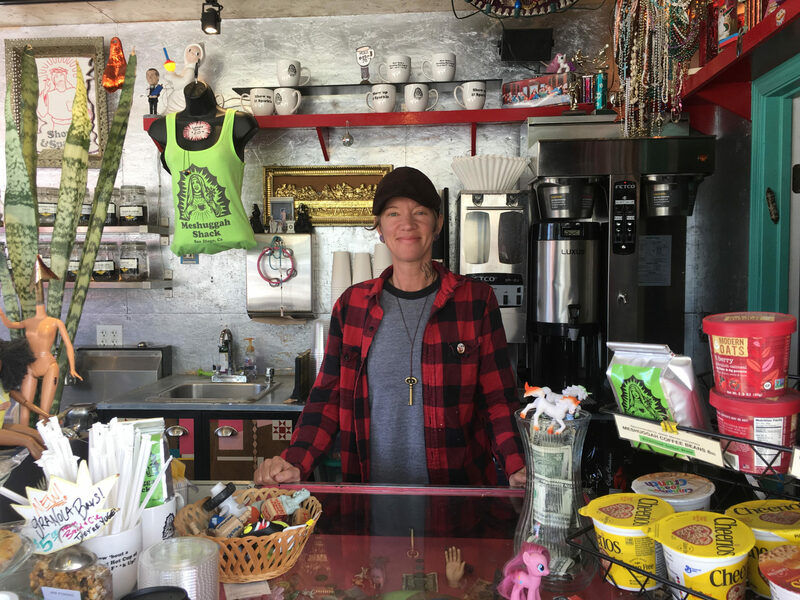 Kristen Pease is a barista at Meshuggah Shack, a coffee cart housed in a repurposed shipping container at the Quartyard pop-up park at Market Street and Park Boulevard. There’s a big new development planned for the Quartyard site, which means the coffee shop will likely be closing its East Village location. Ryan Gamble is the president of a software startup called IntraRatio. He said he sees a lot of the same type of projects going up in East Village, and that worries him. 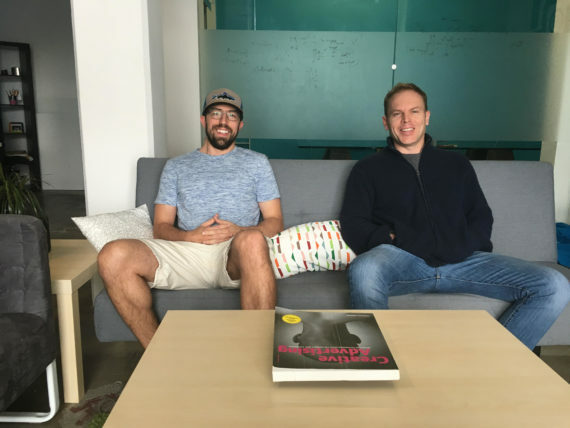 Gamble shares an office with entrepreneur Justin Fortier, who said he’s got mixed feelings about East Village’s transformation.